SharePoint: Modern Lists and Libraries | Where have the days gone? 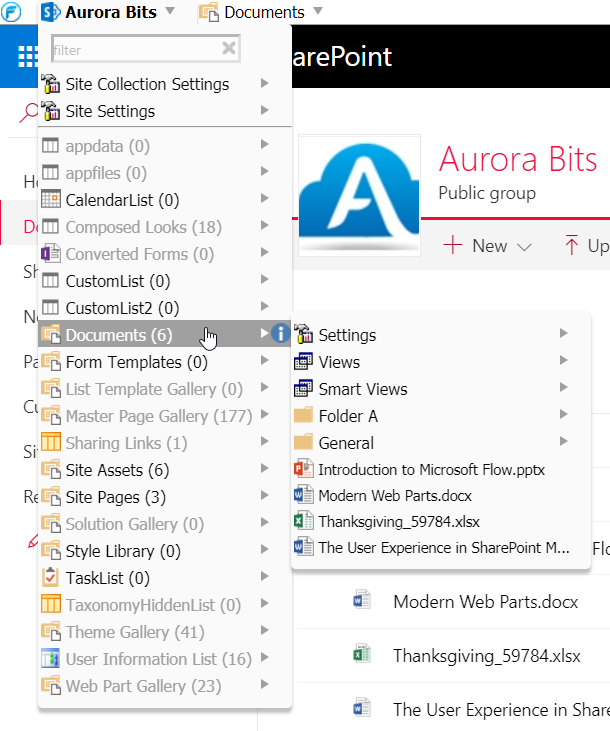 By the way, while you’re on the Aurora Bits site, I recommend checking out their FlyView tool for SharePoint. It’s a very cool SharePoint navigation tool, giving you a dropdown/flyout navigation system, complete with previews, breadcrumb, and filtering. It’s available for all flavors of SharePoint 2010 and above, and there’s a free extension available for Chrome or Edge. This is SharePoint Online using the FlyView Chrome extension, in developer mode, where you can see EVERYTHING on the site – very cool.